In December 2012, on assuming office as prime minister of Japan for the second time, Shinzo Abe was deemed a new man, capable of restoring Japan to its rightful place as a world power. Two years later, though, his decision to dissolve the Japanese Diet and call for elections puts his controversial administration at a crossroads. 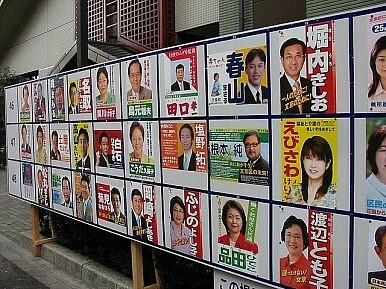 Elections will be held in December, and may prove to be an unnecessary political gamble for Abe. The decision to hold snap elections came amidst looming economic data as Japan’s economy sank into recession in the third quarter, raising serious concerns about the effectiveness of the government’s economic policy. Japan’s GDP shrank by 1.6 percent for a second consecutive quarter, entering officially into recession, its fourth since 2008 (although there are suggestions that the revised GDP figure may not be as bad). Adding to the economic woes, on November 19, Bank of Japan Governor Haruhiko Kuroda announced that inflation would fall below 1 percent, less than half the 2 percent target. Shinzo Abe won a landslide victory in 20012 elections, with a very promising agenda that pledged to pull Japan out of its two decades of deflation. His economic strategy, known as Abenomics, is based on the “three arrows” of fiscal stimulus, monetary easing, and structural reforms. To give his aggressive economic policy added muscle, Abe tapped Kuroda to head the Bank of Japan, to the applause of equity markets. The first indications were satisfactory, as inflation and GDP increased, while unemployment rate fell to 3.5 percent in May, hitting a 16-year low. So, what exactly when wrong? For one thing, a turning point for Abenomics occurred on April 1 this year, when the consumption tax increased from 5 percent to 8 percent, the first increase in the last 17 years. The tax hike, which was legislated by the previous government in 2012 in a bid to curb Japan’s huge public debt, was a watershed for the Japanese economy, producing sharp falls in private consumption and economic growth. Economic prospects became gloomier, casting doubt on plans to raise the consumption tax again to 10 percent in October 2015. Now, Abe wants a new mandate to postpone the tax increase. Although Abe’s first two arrows did deliver some results, the third, such as it was, never actually found its target. Since December 2012, Abe has failed to deliver the groundbreaking reforms that might make the difference to the Japanese economy. Promised measures have been criticized as inadequate due to opposition by vested interest groups, mainly in the agricultural and pharmaceutical sectors. For example, the government has been unable to fully deregulate online sales of over-the-counter medicines in the face of resistance from the pharmacists lobby. Meanwhile, as the population ages the government is still struggling to invigorate its labor force. Attracting highly skilled personnel remains a daunting task for Japan because of immigration restrictions and language barriers, while Abe’s attempt to promote gender equality has been further undermined by the recent resignations of two female cabinet ministers. Yuko Obuchi and Midori Matsushima were forced to step down over claims they misused political funds. Finally, lowering trade barriers has been always a priority for Abe, who has been very busy promoting Japan’s participation in the Trans Pacific Partnership and stronger trade ties with the U.S. and Australia. Again, though, the results are not encouraging, as the highly protective and inefficient farm sector continues to successfully block any real breakthrough. It comes as no surprise, then, that Abenomics had begun to lose momentum during 2014, leading Japan into what appears to be a recession. The official reason for the election is the need for a renewed mandate in order to delay the widely disliked tax hike and to push more aggressively for the implementation of Abe’s economic agenda. In reality, it is more likely that the prime minister wants to strengthen his position before a likely worsening of the situation. As Abenomics falters, Abe will need to make difficult decisions on controversial topics such as the future of nuclear energy, the constitutional reinterpretation of Article 9, and the new national secrecy law. The prime minister has thus resorted to elections to cement his hold on government and his status within his own Liberal Democratic Party (LDP). The problem with this strategic rationale is that it is based on the premise that Abe’s party will win a convincing victory. And it is true that there is no serious challenge to the LDP, with the Democratic Party of Japan still in disarray following its wipe out at the 2012 elections. On the face of it, then, Abe’s manoeuver is a clever one. However, the risks for Abe lie with undecided voters as well as within his own party. With his personal approval rates falling below 40 percent earlier this month, and his cabinet approval rating at similar levels, the Japanese prime minister should feel uneasy at Kyodo News’ national poll, which revealed that 63 percent of respondents “don’t understand” why the election is taking place at all. The odds are heavily in favor of the LDP retaining control of the Lower House in the coming elections; however, it is possible that it will lose some seats, which could undermine Abe’s legislative agenda and eventually derail Abenomics. With LDP presidential elections scheduled for September 2015, Abe would no doubt rather face his own party having consolidated his power in the Parliament. But if the LDP fails to win an emphatic victory in December, then its president will have to explain himself. Stratos Pourzitakis is a Contributing Analyst at Wikistrat and a PhD student at Hong Kong Hong Kong Baptist University, Department of Government and International Studies, where he studies under the scholarship of the European Union Academic Programme in Hong Kong.